Are you struggling to pay off debt? Are you watching debt mount with no real plan for getting out of debt and taking control of your finances? If that sounds all too familiar, there’s still hope! Try these strategies for paying off debt. How much are you really paying to pay off debt each month? Which interest payments are highest? How much do you owe on each of your debts? Once you’ve got a better look at exactly what debt you’re dealing with, you may be in a better position to start dealing with it. If you’re ready to pay down your debt, don’t go into it without a strategy! Instead, create a plan. In order to get the best effect from your decision to pay down debt, choose one debt to pay down or pay off first. 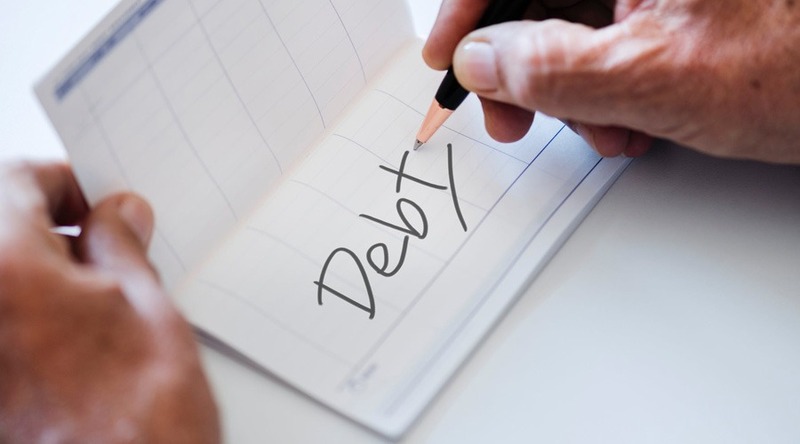 This might be the debt with the highest interest payment, the smallest debt (to check one off and allow you to move on to the next one), or a debt that you specifically want to discharge for another reason. If you pay the minimum amount on each debt each month, chances are, you’re going to be paying on it for a long time. For an American carrying the average credit card debt of $15,000, for example, it will take around 11 years (1) to pay off that debt–and that’s not your goal! Instead, commit to paying extra on your debts each month. Look for ways to cut expenses. You might, for example, be able to cut out your gym membership, stop paying for cable, or eat out a little less per month–whatever it takes to help you send more money toward paying off your debt. Completely paying off your first debt is a heady feeling. It may take weeks or months of effort. In some cases, it may even take years. When you finally pay it off, however, there’s an incredible feeling of relief. Don’t let it stop there! Immediately roll the payments that you were making for that debt into another one. You won’t notice the difference in available funds each month, and you’ll be able to pay down your next debt faster. As you’re paying down your current debt, commit to avoiding new debt. Put away your credit cards and only use them for emergencies. Avoid taking out loans that you don’t have to. You’ll quickly discover that this new, freer way of living is much easier to sustain than a constant cycle of debt. Learning how to pay down debt isn’t an easy process. Without debt in your life, however, you’ll discover that you get to control your finances, instead of allowing them to control you. Are you ready to pay down your debt and improve your financial standing? Get started today!